Koh Tao is a PARADISE ! If you want to explore beaches, gorgeous view points and under water (scuba diving) this trip will be your perfect trip. Let's enjoy our activity and have beer and dinner by the sunset. Recommend to stay around Sairee beach. Please book 2 days in advance. Another typical beach day with a more peaceful atmosphere. Relax by a beach and snorkel or try diving to explore the gorgeous underwater world. Koh tao (koh means island - tao means turtle) is a smallest island from 3 islands Samui, Pha ngan and koh tao. Koh tao is the most famous about scuba diving and this island has many spot to snorkeling as well. the first is traveling around the island since morning until evening. You'll see and enjoy all the place that I bring you to. 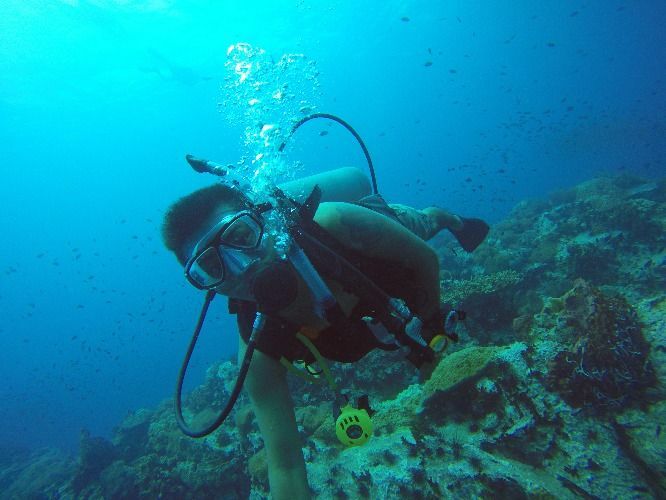 The second is explore under water if you want to try dive or take the diving course.